Seamless development of new technologies that make a revolution on market thrills to the beats. A year ago Apple announced and presented iBeacons intriguing a community with its potential and usability. 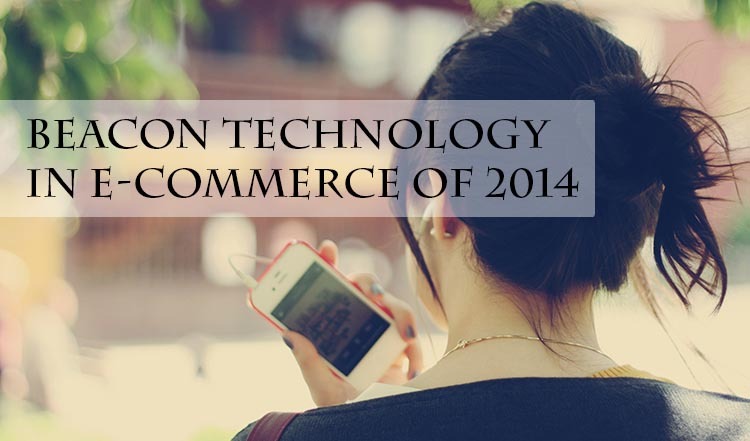 Regarding e-Commerce, there is no doubt that it is a significant breakthrough for marketing online as well as offline. Are you keen to know what this notion conceals and how digital market can be connected to its functionality? A beacon is a dedicated hardware device that uses Bluetooth Low Energy to broadcast a unique identifier. It makes the devices in the proper radius react and receive the notifications. A beneficial point appears to be a need to pair like Bluetooth itself requires and reduces power consumption. Integration with iBeacons makes real sending push notifications with ads, coupons. Promos and other info, when targets are entering or leaving a zone. In addition to Apple’s product, Android developers have also launched the similar technology device (Gimbal and Datzing). Lately, Beaconstac has published a useful infographic illustrating the beacon trends and helpful hints for trade to succeed. It is the way to get in touch with your customers with notifications bases on their behaviors, habits, location. And why exactly is it a hand of help for retailers? Create relevant and interesting suggestions. A portion of details you just have to find out is presented on an infographic below. Bottom the line and stay with your finger on the pulse to succeed on modern e-Commerce. Obviously, adoption of beacons is slow, but progressive process that has to be taken on a board. In addition the major opportunities this technology provides, you may also get valuable information about the clients that is necessary in our data-hungry world. Thus, keep up-to-date and make much more headway! If your retail faces some difficulties and the reason is an e-Commerce solution you use, Cart2Cart is ready to help to change it just in a few hours. Don’t hesitate!